A new GPS device could help young drivers reduce insurance premiums by up to 40 per cent, according to developer Motaquote, in conjunction with RSA Insurance Group. The i-kube is a GPS device that allows insurers to note whether 17 to 25 year old drivers are driving between 11pm and 5am, with those abstaining from the practice receiving the preferential rate. 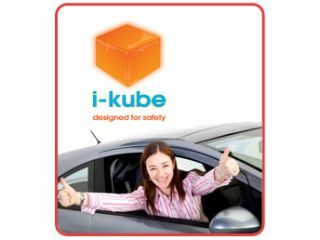 The i-kube notes the times the car is used, and if it is shown to be on the road between the above times then the driver will still be insured but will be charged an extra £45 per night as part of the terms of their policy. Nothing to do with the fact most have saved up to buy that far-too-expensive car and reckon they can get away without paying insurance, then. "i-kube is an innovative way of helping reduce the number of needless road crashes and deaths that are caused on our roads each year – while allowing young drivers access to insurance premiums in their own name that are affordable. "It is not designed to be a killjoy by stopping young people going out at night. We are simply encouraging young drivers to put their cars to bed and use a different mode of transport to get to where they want to go, be it by bus, taxi or a lift from Mum and Dad."